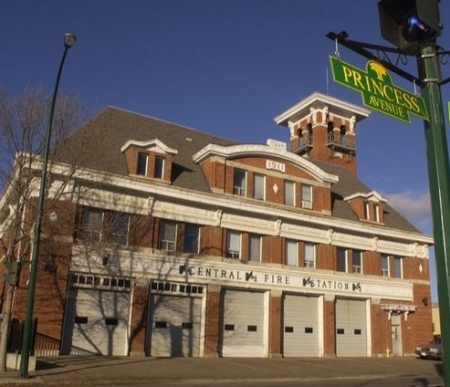 BRANDON, MB – An ambitious proposal to convert an historic firehall in downtown Brandon into a co-op brewpub is likely to be rejected during a city council meeting this evening. The Brewtinerie was originally proposed last August by Brandon Sun reporter and blogger Grant Hamilton, who envisioned opening a brewery and poutinerie – a restaurant specializing in poutine and other pub food – in the 100-year-old building. After an initial plan received a positive response from council in the fall, Hamilton put together a more detailed business plan that was submitted in April, but with estimated costs raised from an initial estimate of $1 million to $3 million. As Hamilton notes in a blog post today, this much higher cost appears to be the main reason that city administration has advised council to reject the proposal. It’s expected that council will also open a new request for proposals for the building in tonight’s meeting, and Hamilton indicates that he may “regroup and rethink” and submit a revised proposal in the future.